Sau khi cài đặt xong, nhấn ALt+L để kích hoạt các chức năng và hiển thị menu. Description: IDA Patcher is a plugin for Hex-Ray’s IDA Pro disassembler designed to enhance IDA’s ability to patch binary files and memory. The plugin is useful for tasks related to malware analysis, exploit development as well as bug patching. 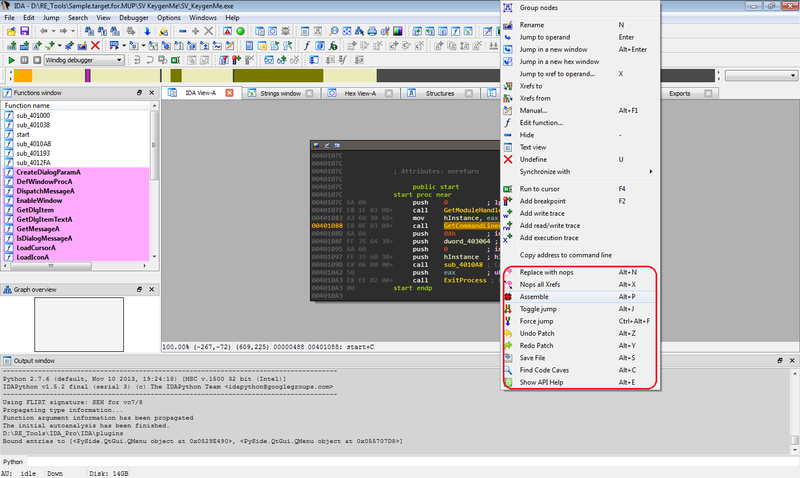 IDA Patcher blends into the standard IDA user interface through the addition of a subview and several menu items.